Shures Beta 87A is the same as the Beta 87 but with a thicker handle and included stand mount. 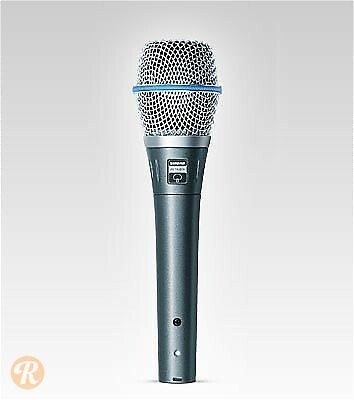 As small diaphragm stage condensers, Beta 87 microphones are designed to bring studio-like quality and depth to live sound setups. The Beta 87 is also made with a cardioid polar pattern as the Beta 87c.